This type of bar graph is basically just 10 LEDs in a row with anodes on one side of the component and cathodes on the other. 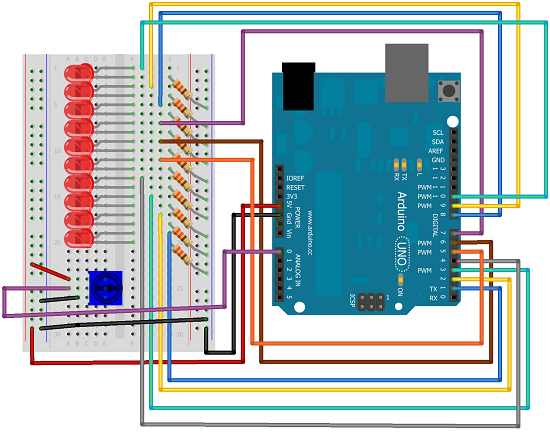 The same thing can be created by just placing 10 LEDs on a breadboard. If you have LEDs smaller than 5mm, you may be able to get them closer together on the breadboard. If not, just space out as you see in the diagrams. The first job is to connect up all of those LEDs and resistors to make the bar graph. Here is some code to test that the bar graph has been wired correctly. 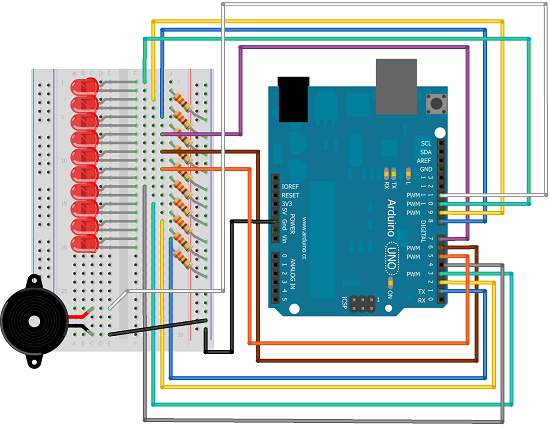 Adding a trimpot to control the bar graph allows the bar graph to be used as an indicator for the position of the potentiometer. Now to make the buzzer and lights work together. The program includes definitions of the 10 natural notes that start with middle C. Each light represents a note and is switched on when the note is playing. You could start by changing the tune in the buzzer version. There are lots of other sensor values that you can use a bar graph with. A thermometer would be a starting point. 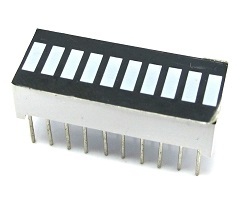 If you make 4 of the LEDs a different colour from the others, you have enough LEDs to do the output for a binary clock. (You'd be using 12hr format for the hour part of the time.) 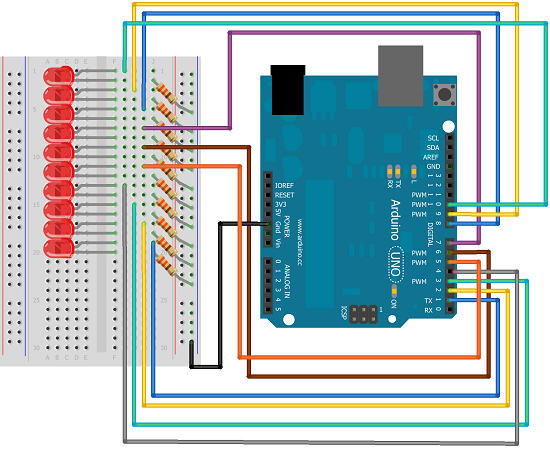 If you have access to a Real Time Clock module, you could use that to source your time components.Alternatively, you can look for the Time library on the Arduino web site and do a similar job without.